Good morning, hope you enjoyed our VIP Collection inspiration and picked them up! Weren't they just the cutest??? Well today it's about our My Favorite Things Wednesday Stamp Club Challenge. 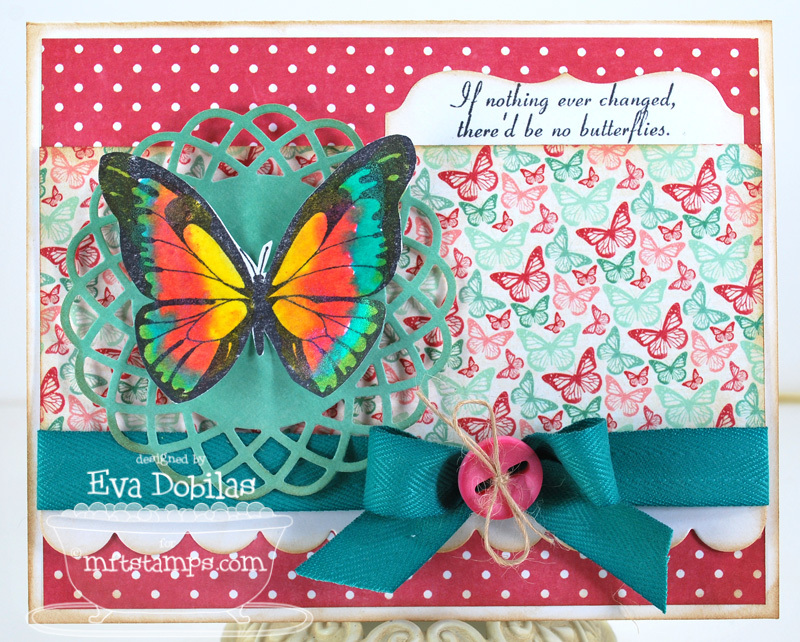 Another fun sketch to work with and here is what I came up with using our Inspired by Butterflies set. I love the sentiment on this card, it has a lot of meaning to me, as I am going through some changes myself. My butterfly of course was painted in with Luminarte Twinkling H2O's. Love the affect! 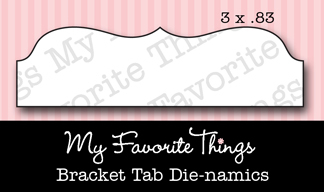 Make sure you stop at Kim's blog for the sketch and the list of the MFT gals who are playing along this week. Then head on over to the MFT forum at SCS and upload your card using the keyword MFTWSC58. You could be the lucky winner of a $15 voucher to spend at the store and if you use MFT stamps, than you could win $20!